This catalog page is intended to be viewed online and may not be printed. Please view this page in your browser at barnel.com. If you are a distributor and would like a printed or PDF catalog, please contact us at 1 503 291-1400 or by e-mail to info@barnel.com. 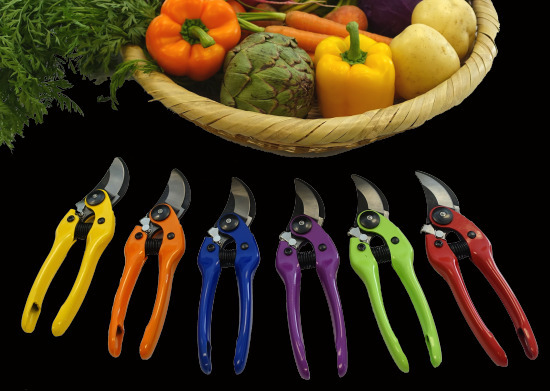 A faithful pruning companion of many colors. Both hobby and work, day in and day out! 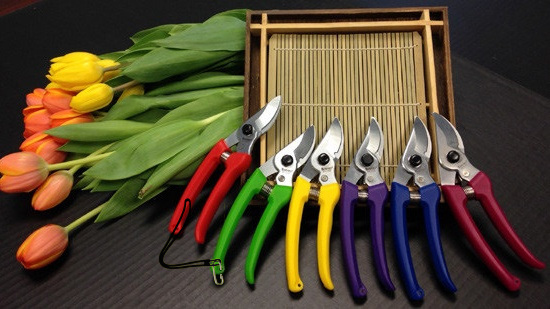 "Le Petite" Pruner with Strap: Sword steel blade, TPR grip handles over steel core. A pruner with a bite! The colorful peak of gardening excellence. 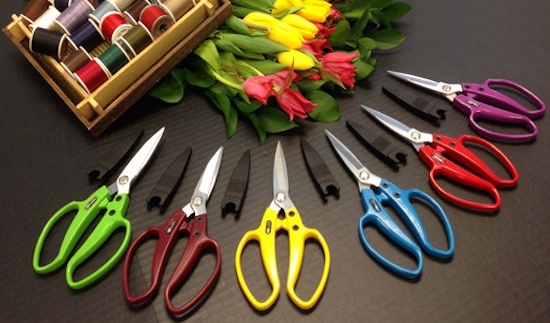 The Gladiator of Scissors: Strong steel blades, aluminum handles, extra large rivet, with locking blade sheath. Jobs of landscape fabric, pond liner, netting, and shade cloth are made easy. soft gelled handle over stainless steel core, with self locking blade sheath. 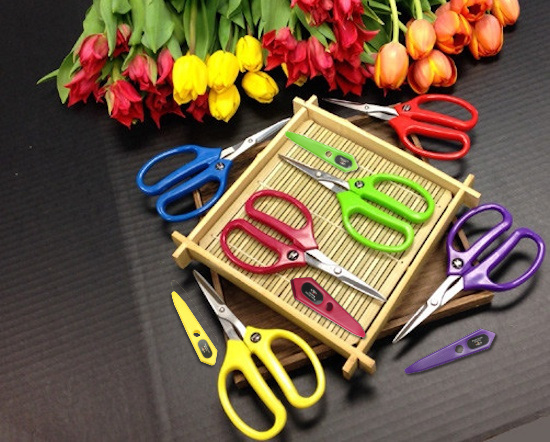 A MUST HAVE for harvest, arts and crafts, kitchen, floral, and sewing. Lightweight with superb cutting.